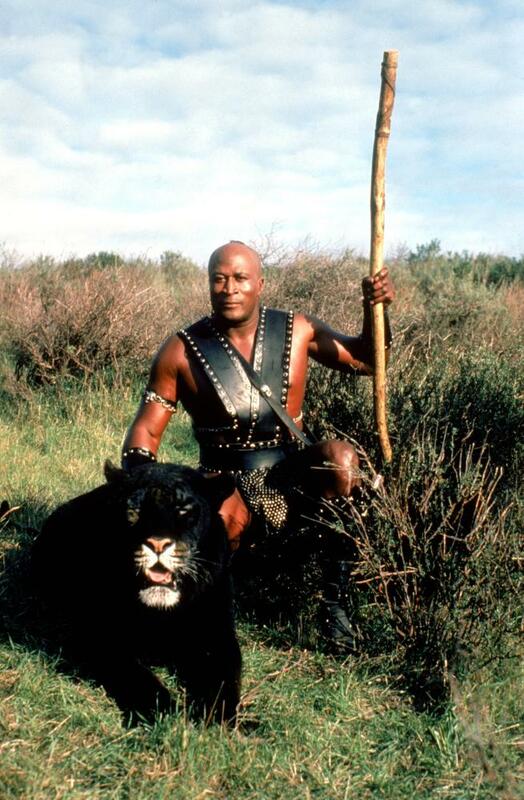 I hope John Amos made that his Christmas card. In my dream, I maintained a farmhouse/dungeon in rural Nebraska where I held captive the actors of the Brat Pack and demanded they re-make all their pictures featuring Jon Cryer as the Anti-Christ. You will be shocked to know Judd Nelson was truly enthusiastic about this idea. Molly Ringwald was less thrilled. Yeah, hang on tight, baby, and don’t let go. That grip couldn’t halt Judd’s march towards “Suddenly Susan”. I don’t know what was worse, “Friends” or the vomit of “Friends”, those subsequent NBC sitcoms that tried to copy the formula (“The Single Guy”, “Jesse”, “Veronica’s Closet”, “The Naked Truth”). Well, whatever vomit of quickly-cancelled sitcoms NBC mops up, rest assured USA sneaks into HQ and wrings the putrid substance from the mop for their devious, early-morning, crap-a-thon purposes. Two shout-outs for the ol’ USA Network in one post. I should be getting paid for this gratuitous grenade tossing. Today marks the 85th anniversary of the first appearance of Popeye, the Sailor Man. Maybe I should just refer to him as Popeye. Otherwise, he sounds like a World Wrestling Federation mid-carder from 1996. No one needs to be reminded of that…which I just did. Well. What an unpleasantly-tasting pie in the face. Happy Birthday, Popeye! For Halloween 1982, I was Lumberjack E.T. I had a plastic mask, Dad’s purple and black flannel shirt, Grandpa’s red suspenders and construction boots. Mom’s contribution was the rejection of my request to carry a dulled axe. After devoting my kindergarten years to the daily consumption of paste, she would no longer tolerate, nor would her weak, weak heart endure, any more soberly admonitory and perfectly creased notes of concern from my teachers. Grandma suggested I carry a whisk. I went to school with the E.T. mask, the shirt, the suspenders, the boots, and the whisk, prepared to change into my costume after lunch for the Halloween Parade. I couldn’t stop thinking about the whisk, how inappropriate it seemed. Then this thought would be scolded by the Other Powerful Thought, Mom’s Weak, Weak Heart. Shame, shame, shame on me. After lunch, I changed into my costume and discovered the eyeholes on the mask were too small. I used the classroom scissors to enlarge the holes, but a classmate startled me, resulting in a jagged line in the mask, running two inches from the right eye to the mask’s side. During the parade, I kept my eyes closed, wishing I could do the same with my ears. At the class party, I ate my english muffin pizza and my brownie in silence. I remember placing the whisk in my bookbag, but somehow it never came home with me. Mom wasn’t upset; she said whisks were cheap. The damage to the mask caused more grief, as there wasn’t time to go to K-Mart for a new costume before Mom took me and my brother around the neighborhood. The mask was scotch-taped, but I returned the shirt to Dad and the suspenders and boots to Grandpa. I borrowed Dad’s New York Mets cap and told anyone who asked me I was now M.E.T. This was met with general smiling approval. After I gave away my Halloween candy to my brother (retaining my tiny boxes of raisins), and before I went to bed, I remembered a word my Grandpa said that day and decided to look it up. Halloween 1982 concluded with my comprehension of the word, ‘defeatist’. I would say this was the only victory of that day, but that M.E.T. thing was actually pretty nifty. For Halloween 1983, I was Blackjack Mulligan. The man born Robert Windham was a villainous pro wrestler, a “heel”, whose son, Barry, was starting to earn his reputation in the business. Blackjack was a big guy, tough and intimidating, who used an “iron claw” to squeeze his opponent’s face until he gave up. He also had a mean, thick black mustache, a feature previously featured on my Dad’s face that disappeared on Labor Day weekend. Dad told me it simply had to go. “You can’t get far in life with a mustache”. I remember thinking about the U.S. Presidents of the later half of 19th century: Hayes, Garfield, Arthur, Cleveland, Harrison. Perhaps he was right. I still wanted to grow that mustache. Mom wondered why I had chosen this particular guy to emulate, and I told her about my need to be a giant for fifteen minutes. Grandpa mentioned Andy Warhol, and I didn’t know what he was talking about. I purchased a black cowboy hat and an Indiana Jones “bullwhip” (plastic replica) at the Great American Party Store. I would paint a handlebar mustache on my upper lip with shoe polish. At school, the outfit revealed me as an outlaw, but no one knew who Blackjack Mulligan was. My teacher, Ms. Curving, thought I was Black Bart and advised me not to use the bullwhip on anyone (I didn’t). The art teacher, Mr. Panarotto, said I looked like Doc Holliday and gave me a high-five. His hairpiece shifted as I slapped his hand. I knew the name Doc Holliday because I had seen a black-and-white TV show where an actor had that role, but I couldn’t remember the title. Later that day, Grandpa told me I had watched “The Life and Legend of Wyatt Earp”. After school, I went trick-or-treating with my brother, who was dressed as a hobo. I thanked everyone who gave me candy, tipping the brim of my hat with a declaration of mostly “Ma’am” or occasionally “Sir”. The next day, Mom and I saw Mrs. Kyritz at the Shop-Rite, who told us that I was the most polite outlaw she’d ever seen in these parts. I remained an outlaw for a few more days, as I had complemented the shoe polish with black Sharpie marker. Polite, yes. Bright, no. For the record, I didn’t use the “iron claw” on anyone, either. Perhaps I should’ve been Wyatt Earp. For Halloween 1984, I was Robot Cowboy. 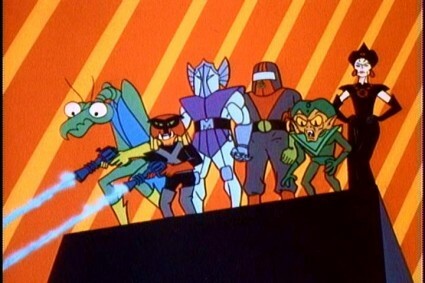 I was directly inspired by the Superfriends episode, “Outlaws of Orion”, in which intergalactic bounty hunters try to cash in on Wonder Woman, Green Lantern, Batman and Robin. Dad complimented me on my ingenuity and also stated if I ever wanted to be The Boy Who Combed His Hair, Mom would likely faint. Being a Robot Cowboy meant I had to work on perfecting what I called “The Cold Dead Stare”. I had to look like I meant business with that stare, that’d I’d make your Daddy move to Brooklyn, your Mommy run away screaming, and your Grandma spontaneously combust. I spent hours in front of the mirror, scowling, growling, sneering, leering. I had to put the absolute fear of extinction in anyone who crossed my path. The first person to cross my path (the carpet in my room) was my brother. However, he proved immune to the scowl, as he merely chuckled and told me I looked like I need to have a BM. That night, he wrapped himself in aluminum foil and invited me to a showdown at 8:00 PM. “Too bad,” Dad said, “8:00 PM is Bedtime for Robot Cowboys”. Mom was displeased that my brother wasted the aluminum foil on his outfit; she wasn’t assuaged by my exclamation, “He’s puttin’ on the foil, coach!”, a reference to the Paul Newman hockey movie, “Slap Shot” (which Dad acknowledged). At school, my costume consisted of last year’s cowboy hat, overindulgence of silver body paint, stiff body movements, and various clicks, whirs, and tics. I ate three english muffin pizzas that year, using a knife and fork so my make-up wouldn’t smear. “Robot Cowboy was hungry,” said Mrs. Pellegrino, the class mother. A cheap toy pistol completed the outfit for trick-or-treating. I must’ve been intimidating since my candy collection was especially high. I tried a fun-sized Snickers bar, but the caramel didn’t agree with me, and I spat it into the garbage can. “Does-not-compute, does-not-compute, does-not-compute” was added for dramatic measure, before I “shut down” (went to bed) after a good bath. Robot Cowboy never returned – the Snickers fouled the works. Actually, I missed a few spots of body paint and ruined my “Return of the Jedi” bed spread…C-3PO’s Revenge. This post…so coherent. Who are you and what have you done with Kentucky Jay? GIVE HIM BACK.